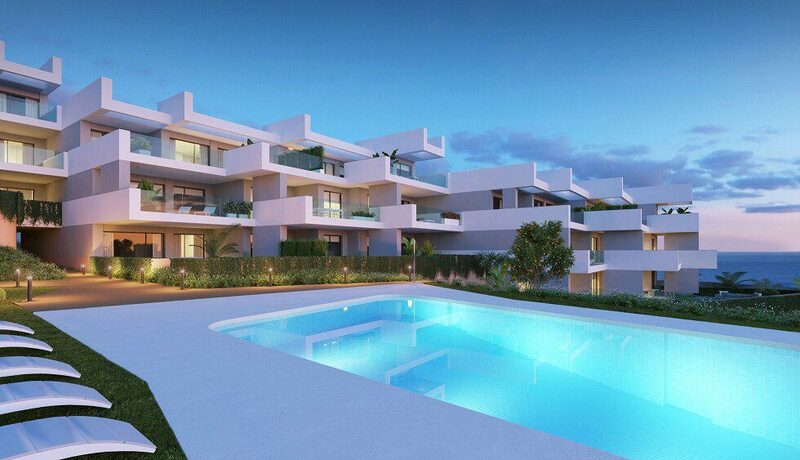 Luxury apartments Torremolinos for sale off-plan. 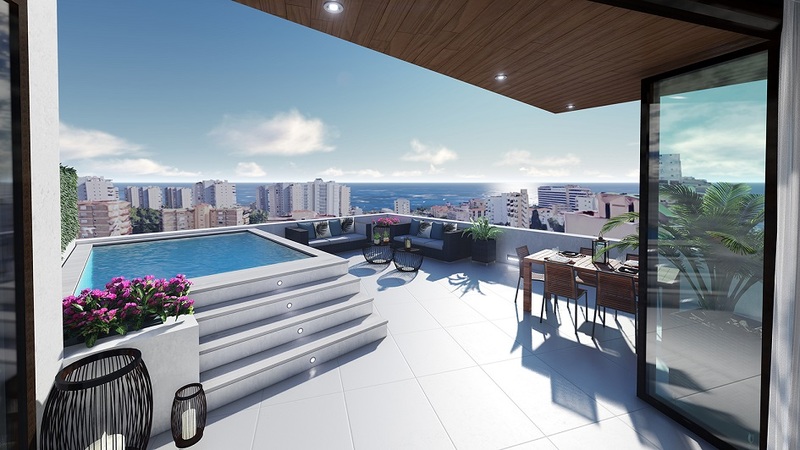 This is a new and exclusive design project of luxury apartments Torremolinos. The project is modern, fresh, clean, elegant and of high quality. Located in the heart of Playamar. It is very close to the beach and all kinds of services as well as excellent communications. It is a new standard of excellence in the residential market both for first and second homes. Generously spacious luxury apartments Torremolinos with 2, 3 bedrooms and penthouses with solarium. 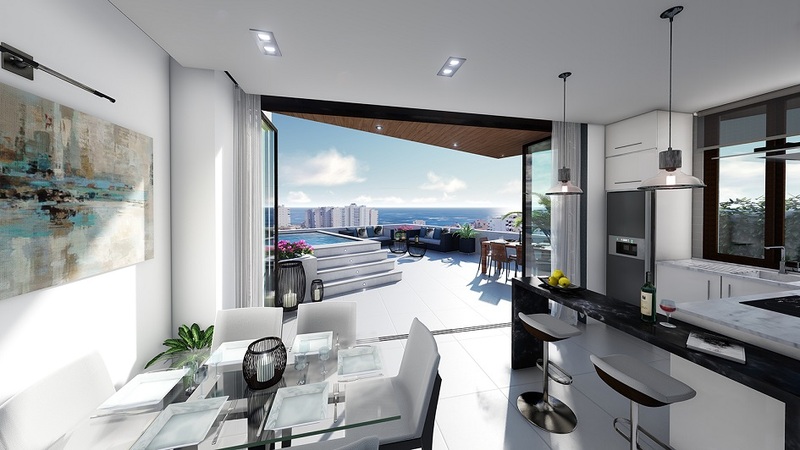 All homes offer beautiful views of the sea and have private pool on its large terraces. 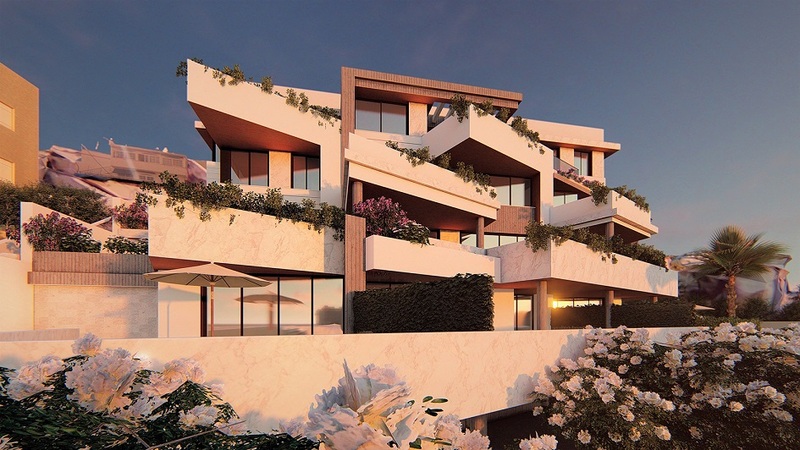 The inside ﬂows with the outside becoming one continuous area, thanks to the design of the terraces and the large ﬂoor to ceiling glass curtains. There are relaxing lounging areas by the private pool in each apartment from where you can enjoy the sun all year round. 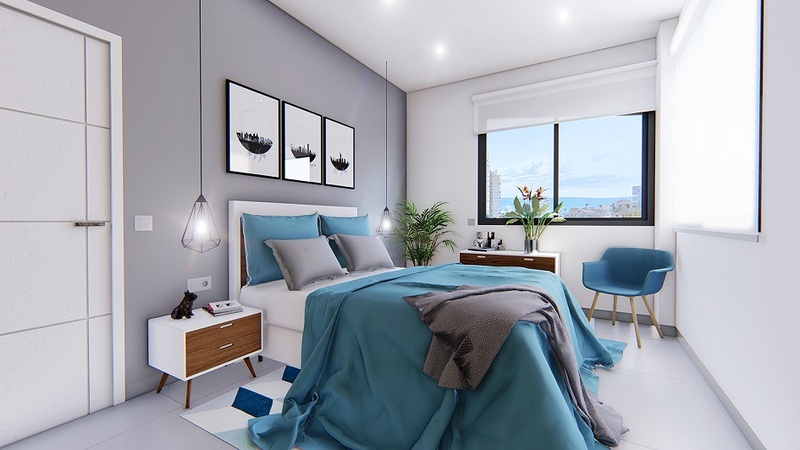 Penthouses give a unique living experience. They have 2 terraces, one of them extends the interior space of the house and another large terrace is on the top floor. Invite a different lifestyle where you can enjoy spacious rooms. The continuity of the flooring towards the terrace expands the space. It generates a unique atmosphere with panoramic views of the sea. Neutral colors and open designs magnify the spaces even more. The combination of white porcelain floors and the white interior carpentry and walls multiplies the natural light in the bedrooms. 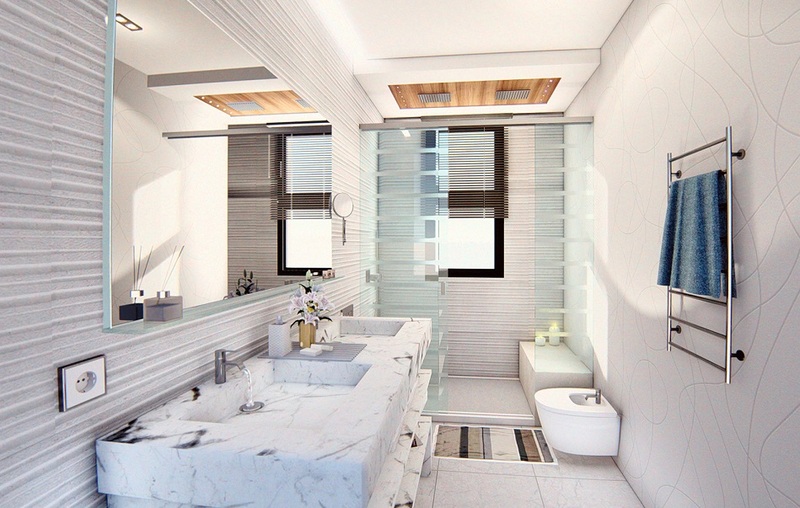 The bathrooms continue the line of modern, functional and elegant design of the entire project. The combination of ﬂoor and wall tiles in light neutral tones and modern ﬁttings provides a sense of space and light. The kitchens have contemporary furniture and are fully furnished. 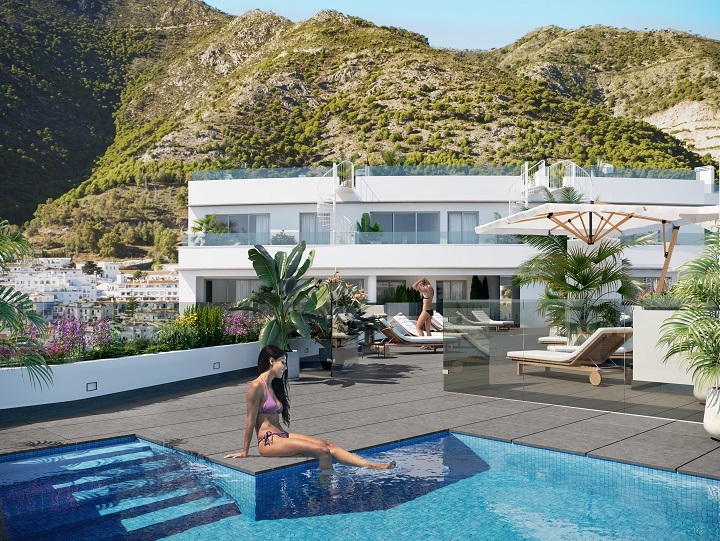 Due to the diﬀerent levels on the land, the building is tiered to get fantastic terraces and wonderful sea views. 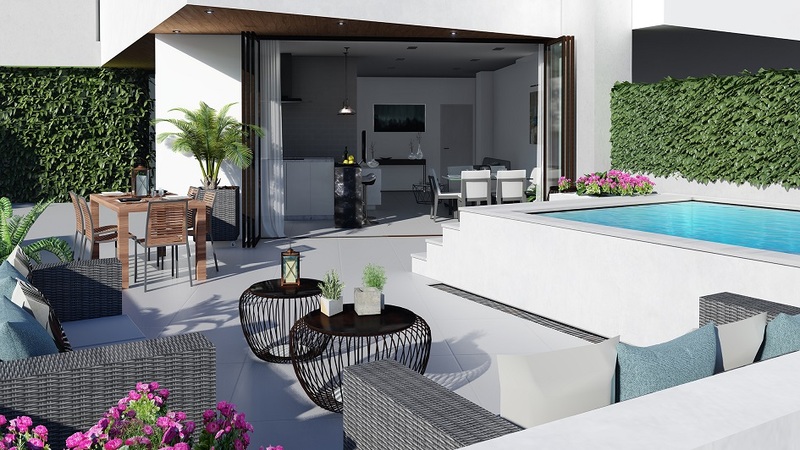 The details of having private pools on each terrace and a solarium marks the diﬀerence. Parking in Playamar is sometimes nearly impossible. The owners have the option of purchasing 1, 2 or more garage spaces in a modern, secure installation. Also they have the option of purchasing a storeroom which adds commodity. 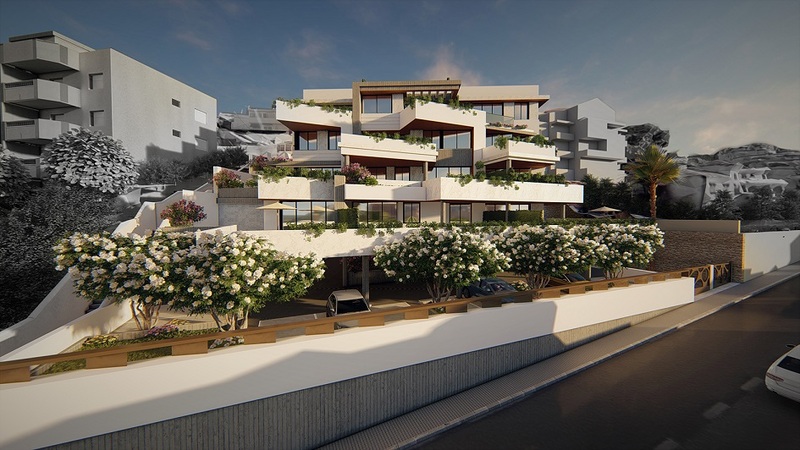 The prices of the apartments are from € 319,000, garages € 18,000 and storage rooms € 8,000. 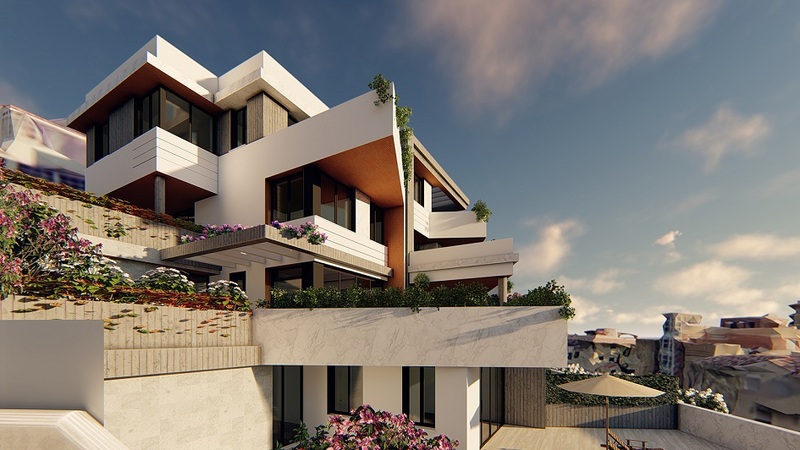 The total built meters of the homes are from 93m2 to 188m2 depending on the apartment you choose (2, 3 bedrooms or penthouses). 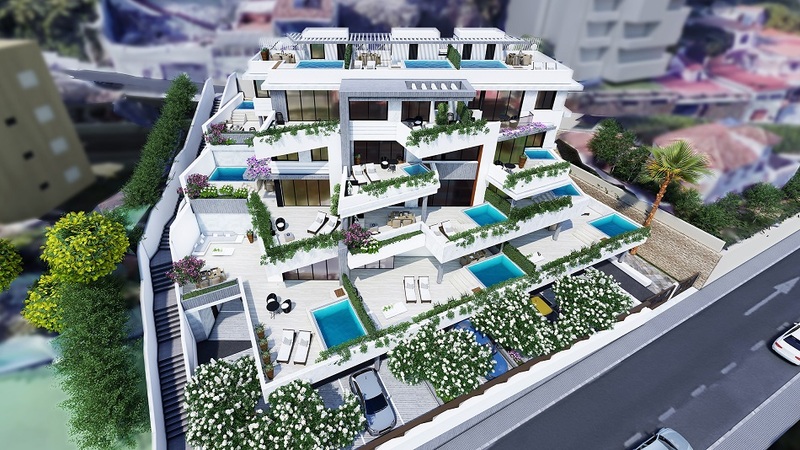 The privacy and exclusivity makes it a select and unique project conceived to enjoy the privilege of living in the Mediterranean.